I read this book as part of the Flights of Fantasy Book Club hosted by AlexaLovesBooks and HelloChelly! 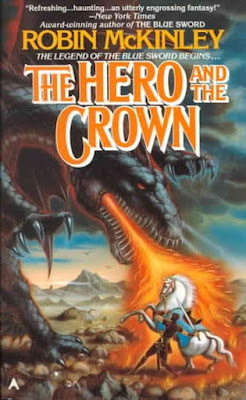 When I started reading The Hero and The Crown, it took me a little bit to get used to the writing, I felt it wasn't fluid and that didn't let me connect with the story at first. But after a while, I got used to it, and I started to really enjoy this book. I really liked the main characters that were introduced at the beginning, I loved the development the main character, Aerin, went through, I loved everything that had to do with the dragons (I had never read a book with dragons before! ), I loved the relationship between Aerin and her horse, and I also loved the relationship between Aerin and her dad. I was actually really surprised about how much I was enjoying this book, until a decisive plot point happened around 70% of the way through, and everything changed. I still enjoyed the second part of the book, but a lot of things came out of nowhere. 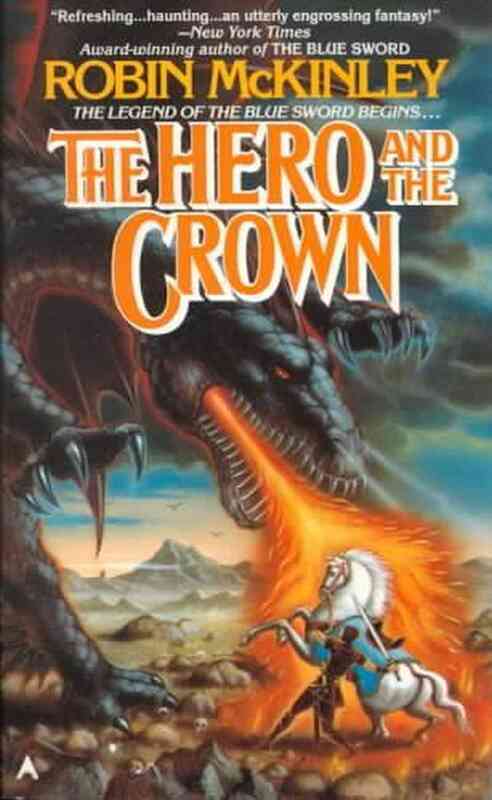 In this book, there was a big mystery and there was a subplot; in the first part there were no answers to the big mystery, instead it dealt mainly with the subplot that had to do with dragons. And it was amazing, all the things that happened to the main character were really entertaining to read about. Nonetheless, when the book got to the last 30%, it went in a completely random direction that felt disconnected from the first part. It wasn't a natural progression to the story, there was no foreshadowing to what happened, the subplot was almost completely abandoned during the second part, other characters showed up out of nowhere, and sudenly there was magic and everything could be solved with it. So, I really didn't enjoy this part as much as the beginning. Overall, I would say that, the first 70% of this book was amazing, the next 25% was not that good, and the last 5% was alright. I would recommend this to someone who likes fantasy and wants to read a classic fantasy book, and see where a lot of the tropes come from. Actually, it's really interesting because there's a really popular book that I thought it had a really original ending, and it's actually very similar to the ending of this book. I will leave you with that information, if you are curious about which book it is, you should check this book out!